Final steels have now been fitted into position (12, steels in total), Hurrah! 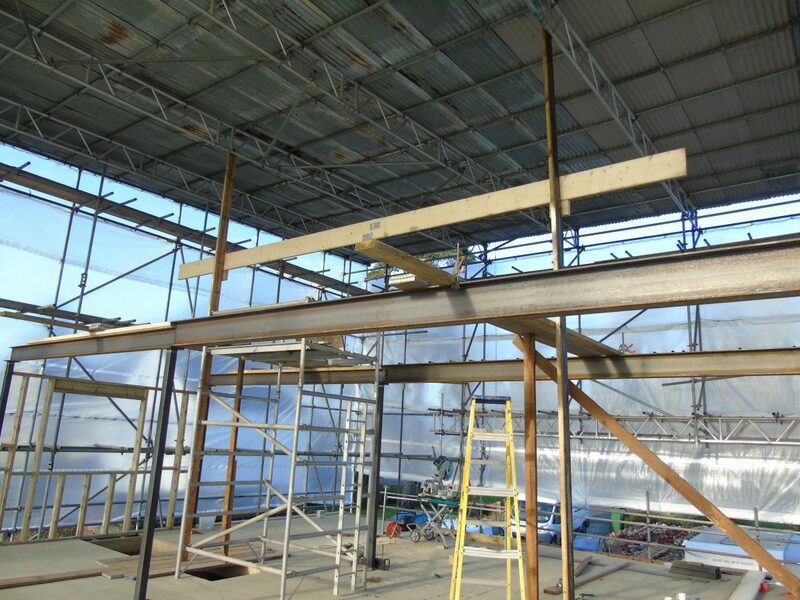 The biggest steel weighed over half a ton – Weetabix at the ready! & of course a couple of genie lifts from Beaver tool hire. 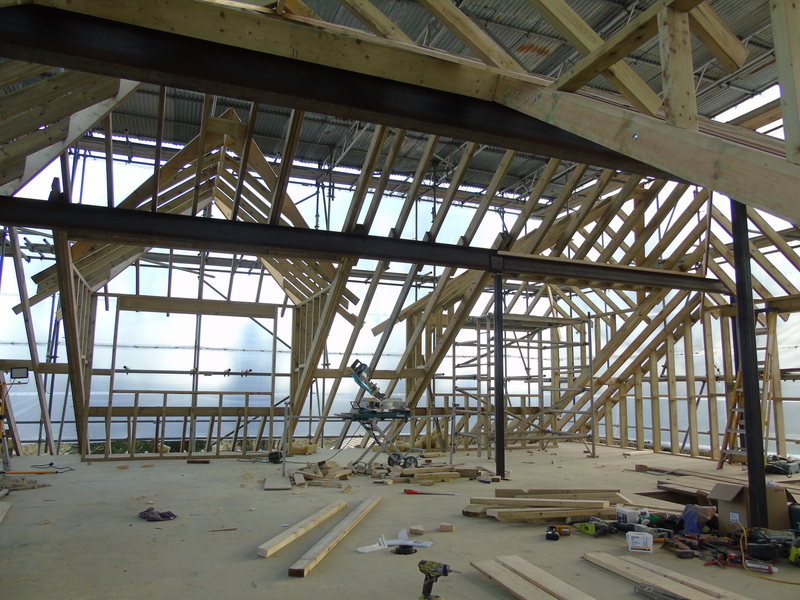 The construction of the roof then began using treated timber & quite a few calculations! 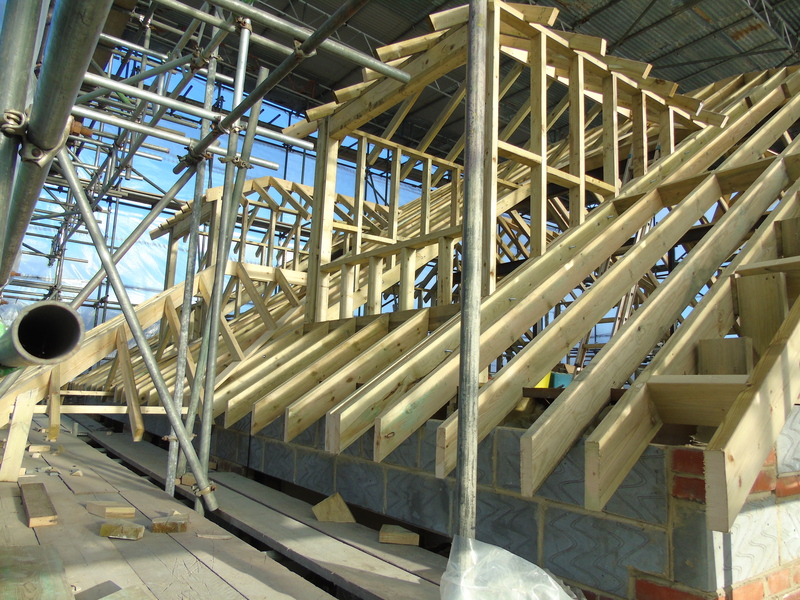 Its quite a piece of art in its skeleton form, consisting of four pitched dormers & two barn ends. 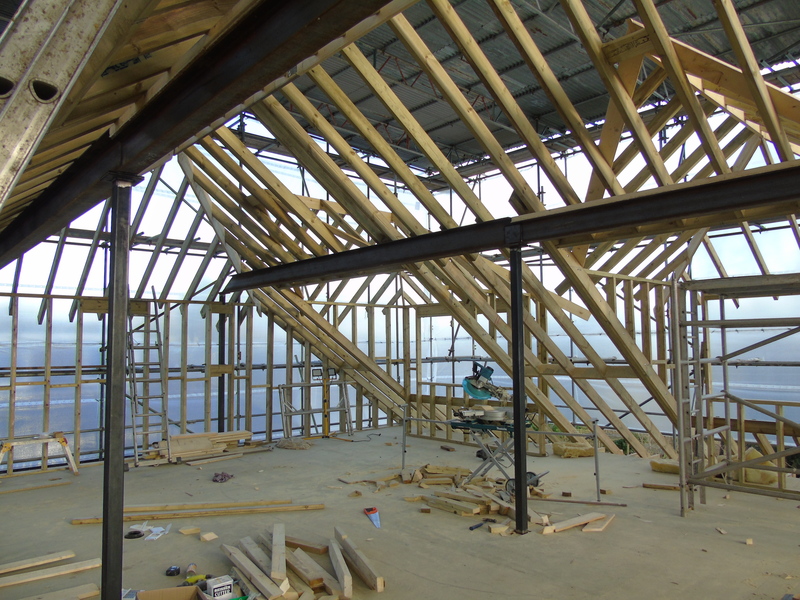 King-span & Celotex insulation boards were then fitted between the rafters & joists. 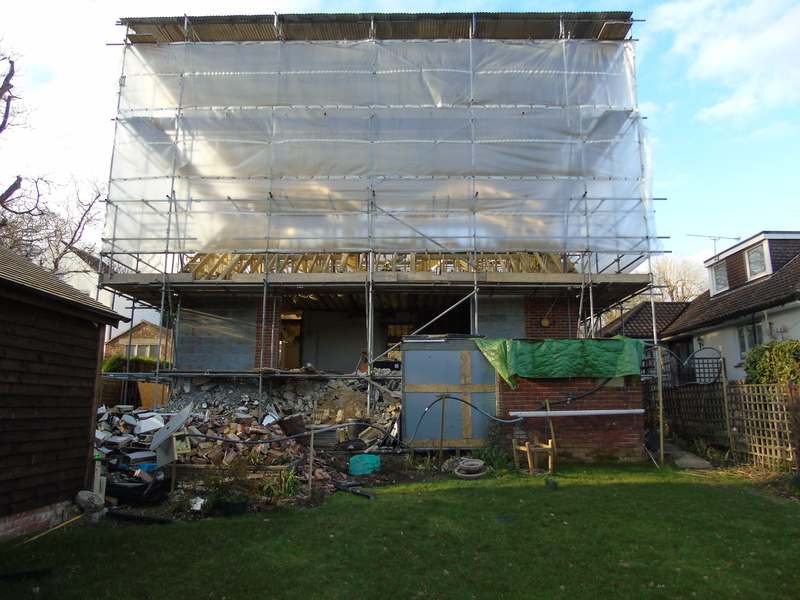 Now a compliance for building regulations, these insulation boards are extremely energy efficient & reduce energy costs. First fix electrics are all now in plus a new fuse board fitted. If you have a project in mind then please get in touch.